We are not short of album releases containing more or less repetitive nonsense around Christmas. But there is always one that sticks out – a diamond in the rough, a star that shines through the otherwise overclouded sky of glossy advertisement. Right? 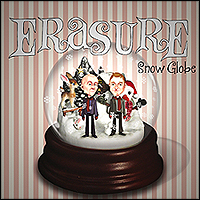 We (at Latebar) are not reluctant to declare Erasure’s album ‘Snow Globe‘ that star. This is the Christmas album of 2013. No redundant jingle-bells or knitted sweaters in front of the fireplace. Only world-class electro-pop with a whiff of melancholic salute to the feast that more than anything else brings both happiness and sadness to people around the world. 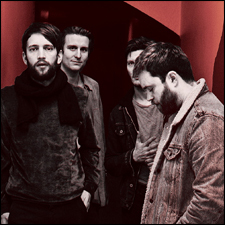 13 songs – of which four are brand new – embrace the listener on ‘Snow Globe‘. Both the ultra classic ‘Silent Night‘ and Irving Berlin’s ‘White Christmas‘ are known to most listeners, although not in this form. And for the completely pagan minority of fans (the Latebar crew) the sixteenth century classic ‘Gaudete‘ is presented in a new and revitalized version, respectfully given a new coating. What immediately strikes the listener is the rather melancholic (read: realistic) approach to Christmas band members Vince Clarke and Andy Bell have chosen for this album. The much celebrated party around winter solstice is not only about love, light and forgiveness, it is also about stressful hunting for materialistic satisfaction combined with sorrow and sadness, thinking about the ones we lost in the past year. Family members and friends whom we selfishly mourn for missing this commercial event of the year. At least that is what we take away listening to ‘Snow Globe‘. Anyway, there is an absolute maximum of stars and recommendations following from the Latebar blog. Erasure aced Christmas. Well done, indeed! First single as mentioned is the medieval celebration of the birth of Christ ‘Gaudete‘. A truly magical yet simple canticle able to move even sworn atheists, and probably did so to Andy when he attended choir practice as a boy. It is currently possible to listen to the entire ‘Snow Globe’-album on Erasure’s YouTube-channel. This entry was posted on Friday, December 20th, 2013 at 10:18 am	and is filed under Music - album. You can follow any responses to this entry through the RSS 2.0 feed. You can leave a response, or trackback from your own site.